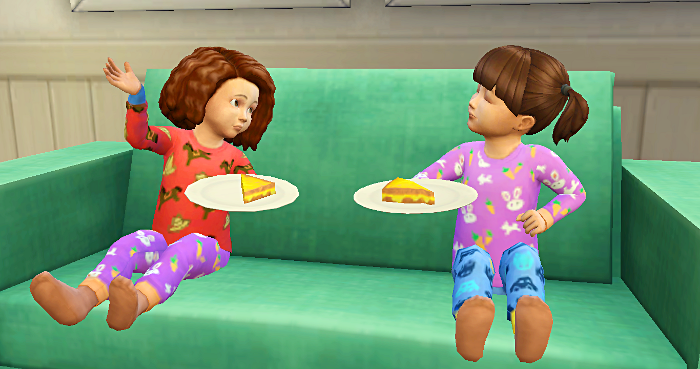 Maggie wakes up and makes some breakfast, and Kailani follows the smell of bacon and eggs out to the main area of the house to grab a plate for herself. Once she's done eating, Maggie takes her to the potty. 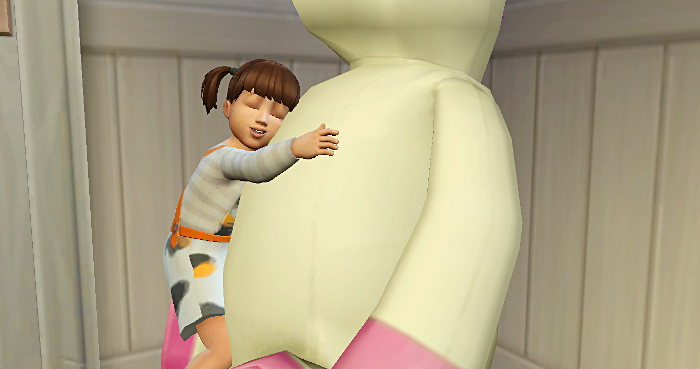 I have Sophie start spamming the unicorn with hugs since that apparently does WONDERS for gaining Communication. 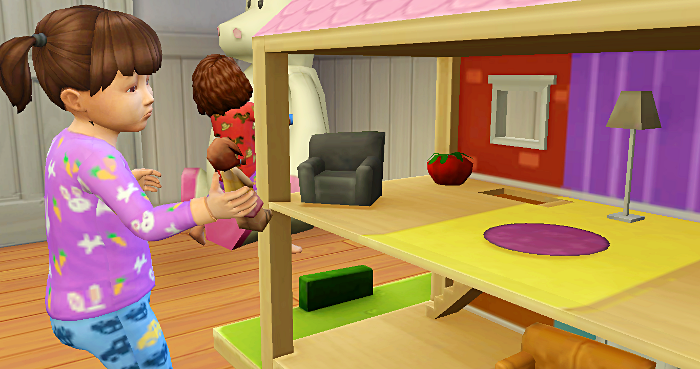 Kailani is playing with the dollhouse. 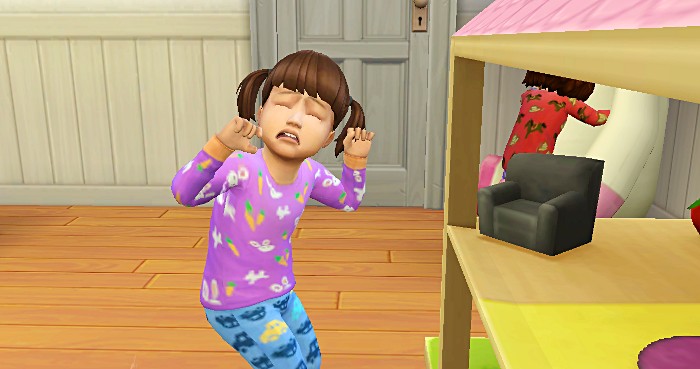 She decides she needs to just have a good cry. Sophie quickly maxed out Communication. Maggie invites Bjorn over to try and woo him. Luckily Bjorn seems to think so too and he actually accepts her kiss this time. And in no time at all, Bjorn and Maggie are jumping into bed. Maggie confirms the pregnancy, tells Bjorn, and then sends him home. 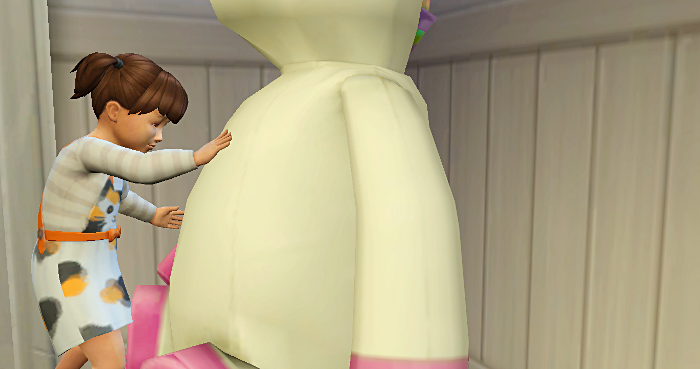 Kailani babbles to the unicorn until she's able to hug him, and then she just spams it with hugs. And in no time at all, she's maxed Communication! 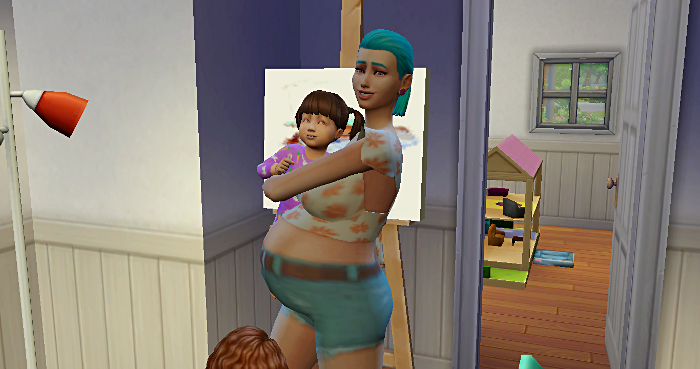 The family is getting desperately low on money, so Maggie takes up painting. 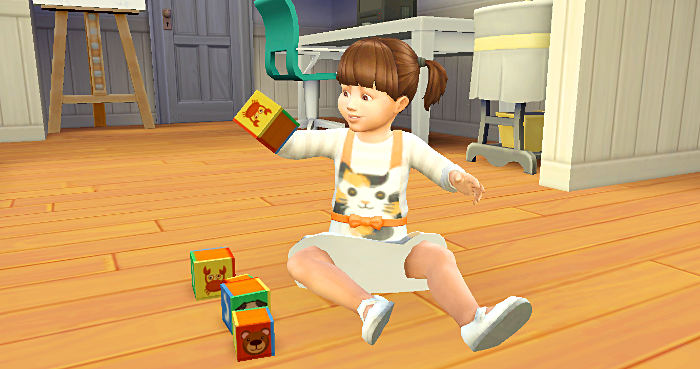 Kailani wanted to do flash cards with Maggie, and Sophie decided to play with the blocks at the same time. 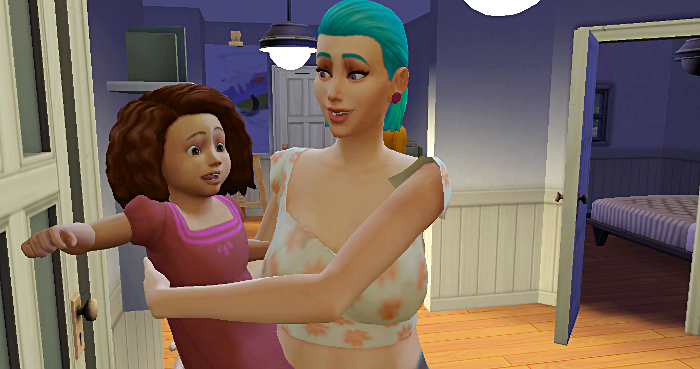 I hadn't noticed until now that Sophie's pants match Kailani's shirt. Awwwww! 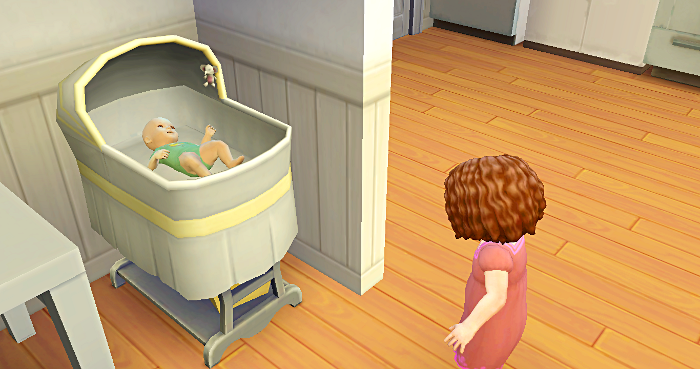 Dominic walked by and since Maggie was taking a nap and Sophie needed a bath, she asked her dad to bathe her. Good LORD look at the bump on Maggie! It's time for Maggie to give birth again! It's a boy named Cole. 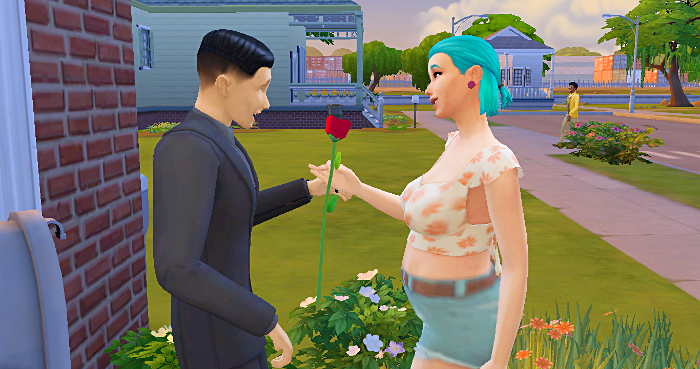 Maggie wastes no time in inviting over her next baby daddy. I think his name is Kango? 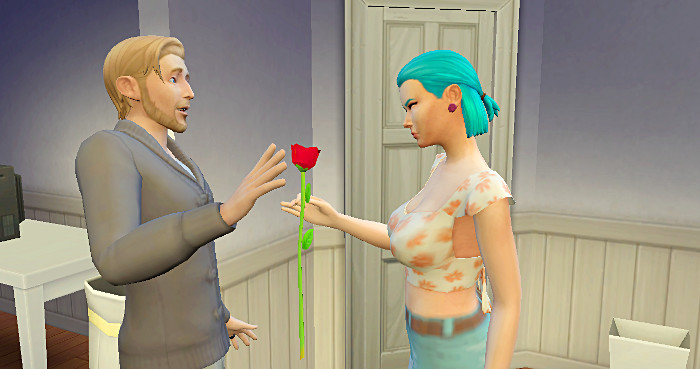 She quickly and easily woos him. 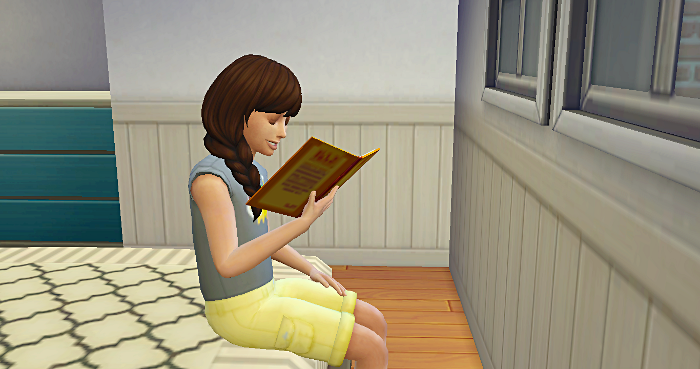 I think this was a picture of Sophie maxing out all her skills...in the master bedroom...as Maggie is seeing if she's pregnant. 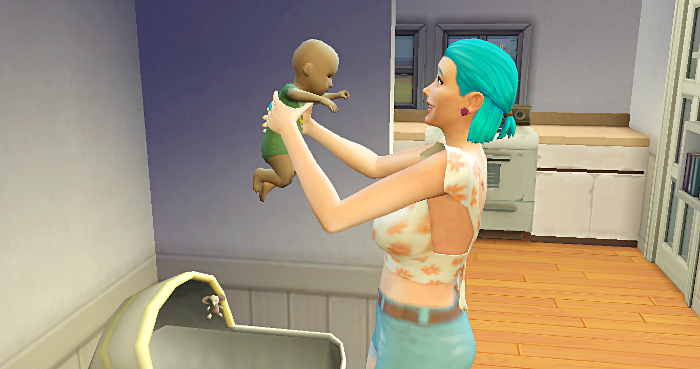 Maggie didn't get pregnant the first time, so she and Kango woohoo again. 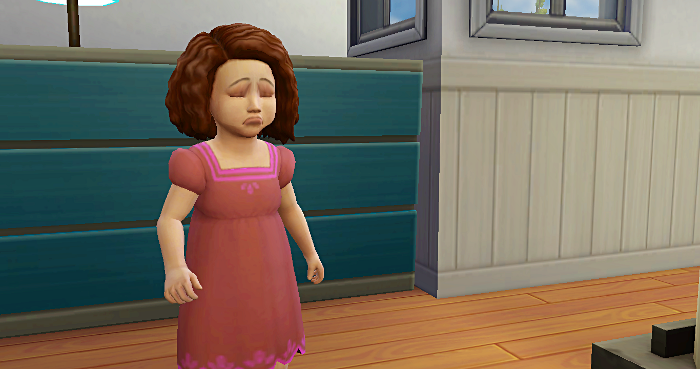 Sophie isn't excited to have another sibling. 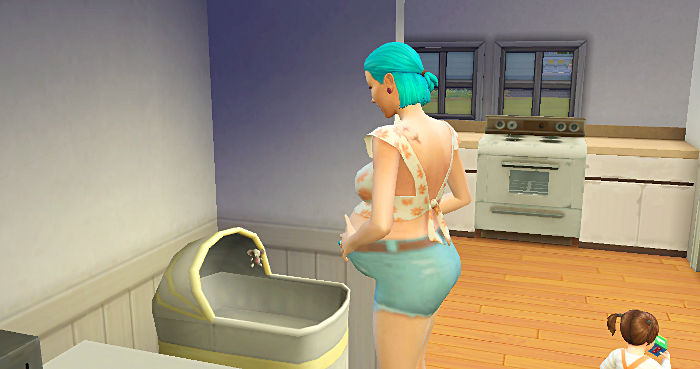 Poor girl is gonna have to get used to it...there are a lot more where that came from! 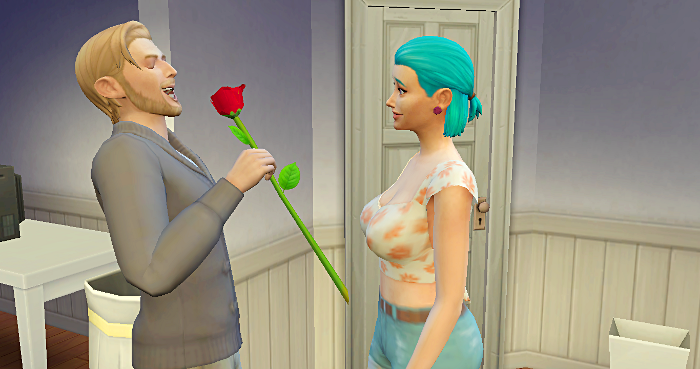 Maggie keeps working on wooing guys so that she always has one ready to invite over as soon as she has her baby. 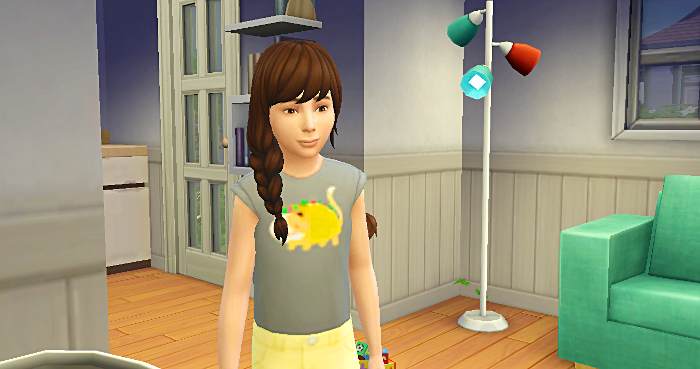 It's Sophie's birthday, so Maggie makes a cake. 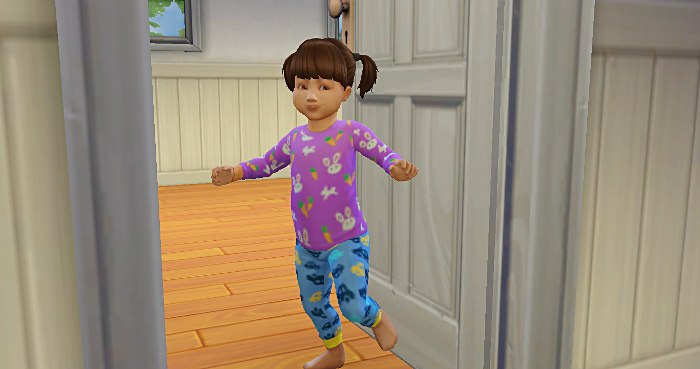 She gained the Neat trait and has the Rambunctious Scamp aspiration. She looks a lot better after a makeover! 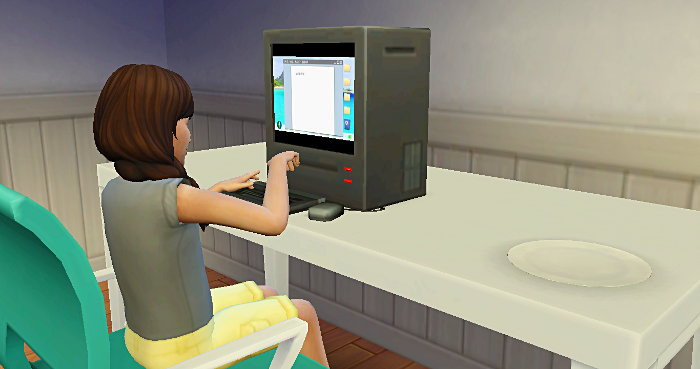 She gets started on her aspiration right away. 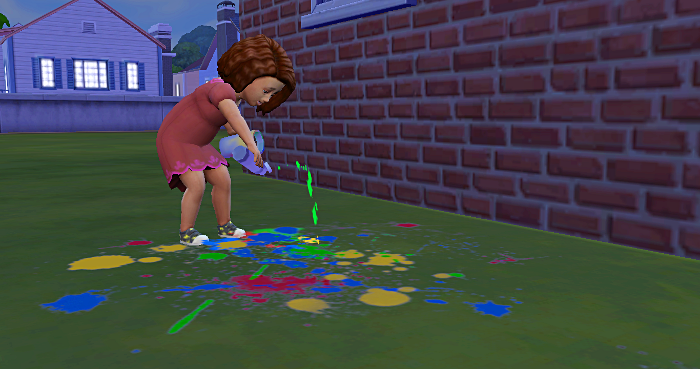 Thanks to maxing all her toddler skills, she's also started at level 2 in all of her child skills. I never did understand why kids get homework before they've even gone to school. 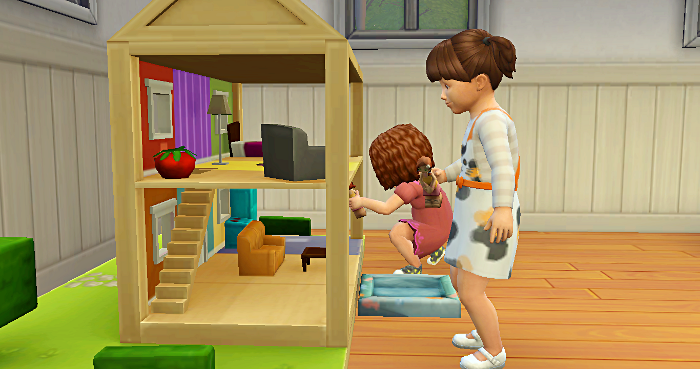 We end this update with Sophie playing on the new jungle gym, which took up most of their money. 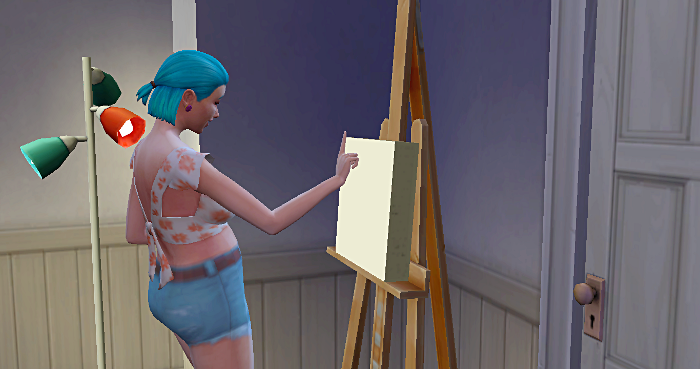 I really need to make Maggie focus on lots of paintings.